Editor's note: An earlier version of this story had an incorrect year for the U.S. debut of the Jetta. The year was 1980. 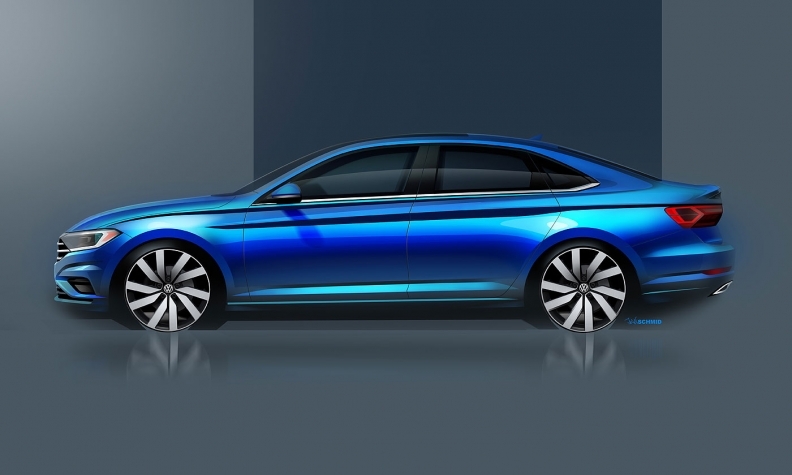 Volkswagen is betting that there's enough life left in the floundering U.S. compact sedan segment and declining Canadian car market to draw new customers to the redesigned 2019 Volkswagen Jetta. The Jetta is the German brand's best-selling model in the U.S., and carried the water in the market before VW made a big move into crossovers this year with the three-row Atlas and redesigned 2018 Tiguan. But in Canada, Jetta sales trail the Golf and have fallen four four consecutive years. 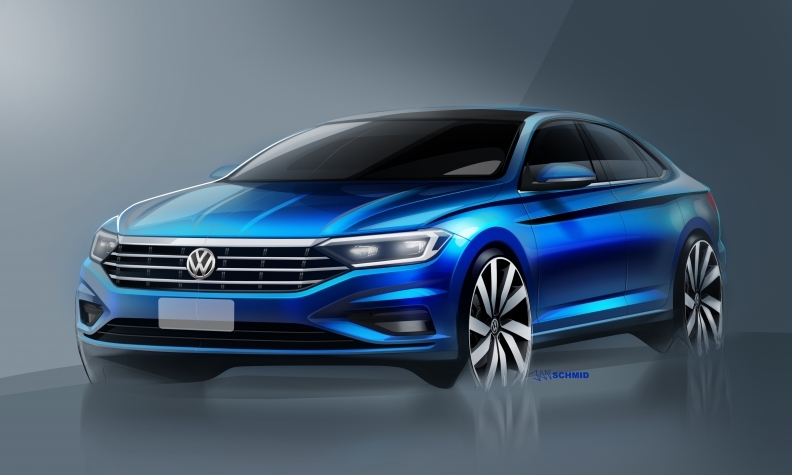 The redesigned Jetta, which will appear in U.S. showrooms in mid-2018, will continue to be equipped with the brand's 150-hp 1.4-litre turbocharged I-4 engine, but it will now be mated to either an eight-speed automatic transmission or a six-speed manual gearbox. 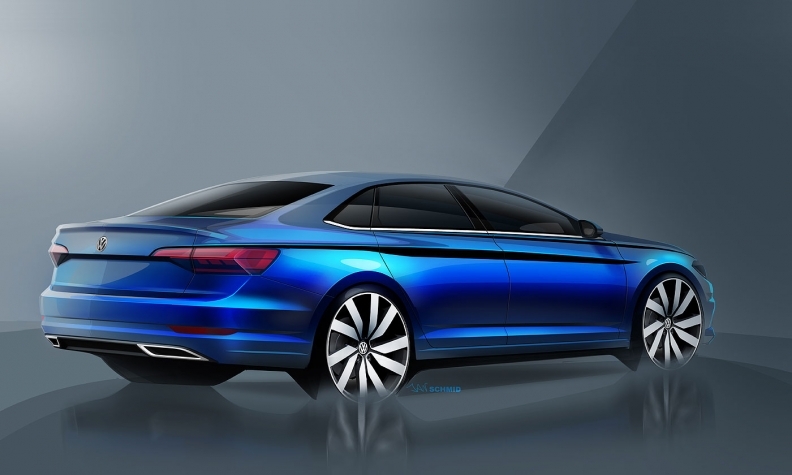 Volkswagen Canada teased the 2019 design on its website in the form of an animated GIF earlier this week. “The ‘teaser’ campaign came from our marketing department. I guess they had a different plan than that in the U.S., as both sides function independently,” VW Canada spokesman Thomas Tetzlaff said in an email to Automotive News Canada. He said the car is due to arrive in Canadian showrooms in the spring. Canadian sales of the Jetta are down 16.9 per cent to 16,885 units through Nov. 30, compared with 20,318 during the same 11 months of 2016. In fact, Jetta sales in Canada have fallen for four consecutive years and are on pace to do so again in 2017 when compared with last year. VW sales fell to 20,954 in 2016, down from 30,413 in 2013, a decrease of 31.1 per cent. U.S. sales of the Jetta rose 0.5 per cent to 108,574 this year through November -- a small gain that reflects the collapse Volkswagen suffered in the wake of its 2015 diesel emissions violations. The car made its U.S. debut in 1980, and sales peaked in 2011 at 177,360. However, Jetta deliveries declined each year between 2012 and 2016. U.S. sales of compact cars have declined 4.9 per cent this year in an overall car market that is on track to shrink for the fourth straight year. In Canada, total car sales continue to fall. On a year-to-date basis, cars have accounted less than one third of all the vehicles sold in Canada this year. Total car sales fell 10 per cent to 44,061 for the month compared with 48,945 in November 2016, according to sales figures compiled by DesRosiers Automotive Consultants.